Foster care was very much in the public eye last year. This should have represented a huge opportunity to reset public attitudes and perceptions about what foster care actually is. One consequence of this could have been to make serious inroads into the current recruitment crisis. Over 8,000 new foster families are needed this year. Aside from this challenging and disturbing fact, every year there will be experienced foster carers being lost to the system through retirement. If the government’s fostering stocktake of 2018 had focused more on this fact, a greater sense of urgency might have been instilled. The foster care stocktake and ideas about ‘professionalism’. It was depressing that a significant part of the debate following the findings of the stocktake became mired in ideas about the professional status of foster carers. No one could possibly argue there was not a lot of ‘meat on the bone’ within such a statement. You might reasonably expect it would have triggered a whole series of responses. Clearly, there was a robust debate to be definitely had. This, after all, was a huge opportunity to rethink from the ground up what being a carer is all about – how the role might be redefined to deal with the rapidly changing world of fostering. And this is most assuredly a world of increasing challenge. How could it not be – considering one metric alone – 65% of children coming into care are suffering trauma which is the consequence of abuse and/or neglect. What is so revealing is that where there was a response to the view of The Fostering Network in the form of an endorsement, no comment at all was made about what the GMB said. The silence was deafening – and this has to reveal much about the nature of the stocktake itself. Or at least raise suspicions. The question has to be asked as to how genuine its motivations were. It can all too easily appear as the government being forced to be seen to be doing something. Well before the report appeared, there were already signs that things were far from rosy in the garden in relation to fostering. Would it? This last view has to be open to question. Especially as there is a serious shortage of carers across the country – over 8,000. If the role was professionalised – with the kind of benefits the GMB is talking about, it might interest a huge number of people. And they might well be the very kind of people – with valuable skills – able to rise to the challenge of caring for growing numbers of children with complex needs. Children coming into care traumatised. Such people might – if they have have already been in professional careers, such as teaching or policing, as only two examples – might be highly receptive to becoming carers if the role was professionalised. 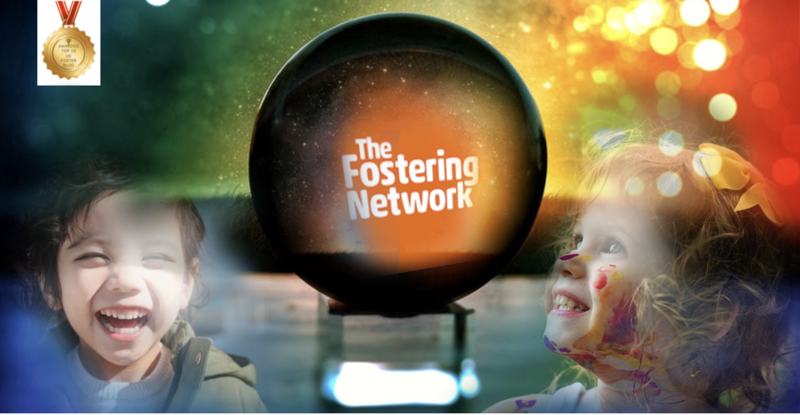 It has to be added that The Fostering Network had, back in 2015, working in partnership with the consultancy iMPOWER, produced work forming part of a Department for Education funded project focusing on recruiting foster carers with certain desirable characteristics. Out of this work government-funded work, the population of newly approved carers was found to be 81% ‘Pioneer’; 16% ‘Prospector’ and 3% ‘Settler’. It seems as if the authors of the fostering stocktake were unaware of this valuable work. They presented what seems to be a rather stereotypical and almost nostalgic view of foster carers as a breed. And many would argue this suited them. To adopt a more rigorous approach to assessing what foster carer attributes might be, could have led to a totally different view: that we need to professionalise the role of a carer. And urgently. Especially when it is considered that many children are experiencing multiple placement breakdowns. This means they are denied the possibility of growing up in the kind of stable environment that promotes educational attainment: only 6% of children leaving the care system progress to university. There is something positively Dickensian about such a statistic. The authors of the fostering stocktake do have something to say on this, but the tone is defensive. And it can in no way justify such a disparity when measured against the 50% of the general population that do. Children in care it has been found are also five times more likely to have been excluded from school. And, incidentally, children who have been in care aged between ten and seventeen are five times more likely to be convicted of a criminal offence – or made the subject of a final reprimand. Such statistics undoubtedly make for uncomfortable reading. Perhaps that’s why they don’t attract much exploration in the foster care stocktake. If instead, the argument had been changed to “But – and this is crucial – they must be treated courteously.” This would have left the door firmly open to a wide ranging debate about the merits of professionalising the role of the modern day foster carer. Foster a change in stereotypical thinking. “People say the stupidest things to foster carers. I’ve lost count of the number of times people have told me they couldn’t do my job because they would “love the children too much to give them up”. I think it is reasonable to argue that the authors of the fostering stocktake, are guilty of perpetuating and encouraging an idealised version of what a carer is as it will accord with comfortable notions the public have. This prevents a wide-ranging debate about what kinds of foster carers are going to be needed if we; as a society, are genuine about wanting children in the care system to flourish. And if we do, we are more than likely to need ‘professional’ foster carers. The bottom line is that this is going to cost. The argument is there to be had: such damning statistics relating to educational opportunity and criminalisation are unarguable. They show the system we have is not fit for purpose. It would have been a useful exercise if the fostering stocktake had imagined what a system might look like. Many fostering service providers are working hard to attract professionals from disciplines where they will have come up against children with a whole range of behavioural problems. We are already seeing the emergence of the ‘Therapeutically’ trained foster carer. it is now possible to study for a Master degree in this area of fostering. In many senses what is happening now is market driven. With so many children coming into care with complex needs, if placements are going to stand a chance of being stable, ‘professional’ skills are going to be required of foster carers. The foster care stocktake should have imagined the means by which a professional cadre of foster carers can be created. And what it would cost? Maybe it would have been ‘eye-watering’, but that is not a reason to not to conduct the exercise. The prize: saving prodigious sums from health service budgets, penal system budgets as well as – what we all want – supporting children who have had very little in life to enjoy success and grow to be adults making a contribution to society. Could you be a foster carer with Rainbow Fostering in 2019? Our goal is to recruit carers who can demonstrate the right capabilities, life experiences and qualities to support a child or young person. Team Rainbow is dedicated to finding, training and then supporting carers who can nurture and help a youngster to reach their full potential. Being a foster carer means having a huge influence. You can make all the difference in the world to a child or young person. Rainbow is an inclusive and welcoming community. We encourage applicants, whatever their ethnicity, religion or cultural background, sexual orientation or relationship status. This gives us the best chance of matching children with carers who reflect their experiences and background. It is not uncommon for carers to transfer to another agency. At Rainbow, it is extremely rare for anyone to leave us. In fact, in the 21 years we have been in fostering, we now have many foster carers who have been with us for over ten years and more. Which tells its own story. It’s important you understand that all foster carers have the right to move to another agency. So if you are an approved foster carer and already registered with a fostering service provider and are looking for more support and career opportunities, call us. We’d love to have an informal chat about your aspirations and reasons for seeking a change. 020 8427 3355 or our National Line 0330 311 2845 are the numbers. To care for a child or young person, you need to be over 21 and have a spare bedroom. We need people who are optimistic and resilient by nature. Fostering can present challenges. A sense of humour helps as does a high degree of commitment. Whilst we always work within our carers preferences, you should be willing to foster children of varying ages. And to our carers remember we also pay a bonus of £500 if you are able to refer a friend or acquaintance to become a carer. You will receive payment once you have accepted your first placement. Just one of the very many benefits of being a carer with ‘Team Rainbow’.